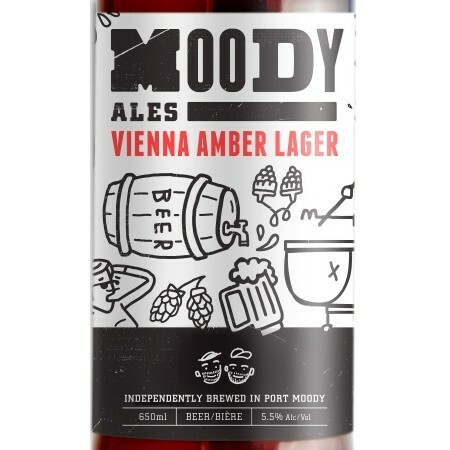 PORT MOODY, BC – Moody Ales has announced that one of its core brands has been given a new look and expanded distribution. Amber in colour, this slightly maltier, yet still crisp and easy drinking lager is a great flavourful lager that goes down really easy. Finishing light and crisp, this beer is extremely well balanced and gives the drinker some malt forward flavours, but without leaving a sweet finish. At 5.5% this is an easy drinking beer for any time of the year, but especially welcome as the weather changes in the fall and through the winter. Vienna Amber Lager is available now in 650 ml bottles sporting a newly designed label at government and private liquor stores throughout BC, as well as at the Moody Ales retail store.